TWA flight 800, a Boeing 747 that exploded shortly after take-off, was one of the most expensive investigations ever. On the 17th of July in 1996, TWA flight 800 had just departed New York for a scheduled passenger flight to Paris when tragedy struck. The moments before the crash were recovered from the cockpit voice recorder. The air traffic controller asked the pilots to maintain FL130 (13,000 feet). The Captain said, “Look at that crazy fuel flow indicator there on number four … see that?” The air traffic controller then cleared the flight to climb to and maintain FL150 (15,000 feet). A crew member selected climb thrust and a loud sound was recorded before the CVR stopped. Forty seconds later, the captain of a Boeing 737 reported that he had just seen an explosion up ahead. The aircraft had disintegrated fourteen minutes into the flight at 13,800 feet. The wreckage crashed into the sea off the coast of Long Island. Initially, it was believed that the aircraft was the target of a terrorist attack which meant that there was both an FBI investigation and an NTSB investigation. There were 19 teams in the NTSB investigation, making it the largest air-crash investigation in U.S. history. The debris was scattered across 150 square miles of ocean. US Navy salvage divers retrieved hundreds of thousands of aircraft fragments and the wreckage recovery alone took nine months. Despite the difficulties, 95% of the aircraft and its contents were salvaged from the ocean, including pieces as small as a coin. Investigators were now faced with a the incredible task of assembling these fragments into the original fuselage, a monumentally difficult but critically important jigsaw puzzle. 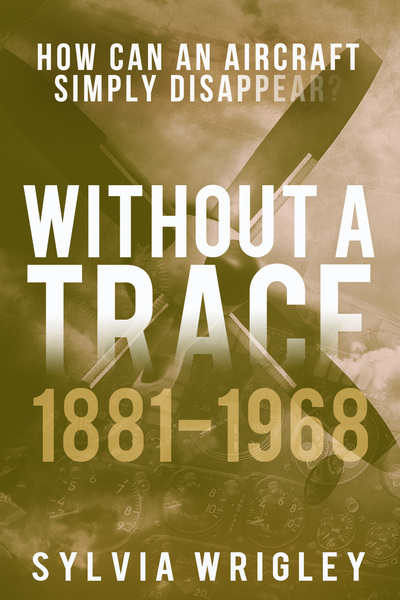 It was this reconstruction and the detailed analysis that led to the eventual investigation conclusion, as it showed that investigators needed to focus on the centre of the aircraft, especially the centre fuel tank. This small section of the aircraft had broken into 700 pieces and these fragments, as well as the locations where they been found, pointed towards an explosion inside the tank. The locations where the pieces of the aircraft had been found bore out this conclusion: the centre section was found closest to the flight path as the fuel tank and the area around it disintegrated. The nose then fell into the ocean while the rear half of the aircraft with the wings continued forward with the momentum of the flight. The key question then was how it happened, as fuel-tanks don’t normally explode. The NTSB asked for help from Caltech’s explosion-dynamics lab to investigate this. Now, in order to have a flame, you’ve got to have three things. One, you need fuel—in this case, the little bit of aviation-grade kerosene, called Jet A, that was left over when the flight arrived at JFK from Athens. The 747 is a marvelous airplane that can fly all the way from New York to Paris, with just the fuel in its wings. Airliners don’t like to carry around extra fuel, which is weight that could be used for more passengers, so they didn’t refill the center tank when they refueled at JFK. Two, you’ve got to have air. Well, the tank was full of air, except for about 50 gallons of kerosene lying on the floor of this 13,000 gallon tank—a layer maybe three-sixteenths of an inch deep. And three, you need some source of ignition. But to get an explosion, you need fuel vapor. If you set liquid fuel on fire, you’ll just get a puddle of burning fuel. This is not something you want in an aircraft, but it’s not going to cause an explosion. So how do we get vaporized fuel? Well, July 17 was a hot day, and there’s a set of air-conditioning units that sit underneath the tank. As the air conditioners run, the heat from the machinery could have seeped upward and heated the fuel, causing some of it to evaporate. So now we have fuel vapor and air, and if we have ignition, we can possibly have an explosion. Caltech did research tests that showed that at 13,800 feet, with the dropping air pressure increasing the amount of vapour in the tank, the amount of energy needed to ignite the Jet A fuel was much less and that the temperature itself would rise more quickly in an almost empty tank. This meant that a very small spark would be enough to ignite the fuel tank. The next mystery was what had caused the spark. The cockpit voice recorder showed two “dropouts of background power harmonics” in the second before the recording ended, which were consistent with an arc on cockpit wiring. This, in combination with the Captain’s comment on the “crazy readings”, mean that a short circuit from damaged wiring was extremely likely. The Fuel Quantity Indication System is in the tank and although the voltages and currents used by the system are kept very low, the wiring is located within the centre tank. 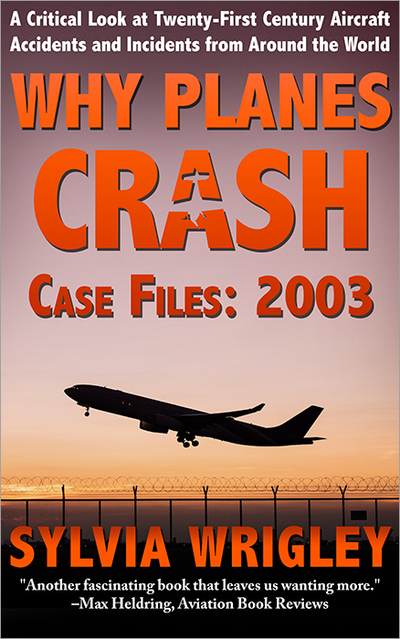 Four years after the accident, the most extensive NTSB investigation ever held in the US was concluded with a final report in August, 2000. The report stated that the most likely cause of the explosion was a short circuit involving the Fuel Quantity Indication System which allowed a very small electrical spark to ignite the fuel in the centre tank. The low amount of fuel in the tank and the low air pressure affected the vapour-to-air ratio in the tank and the temperature of the tank was provably higher than expected as a result of the air conditioning and again the lack of fuel in the tank to soak up the heat. 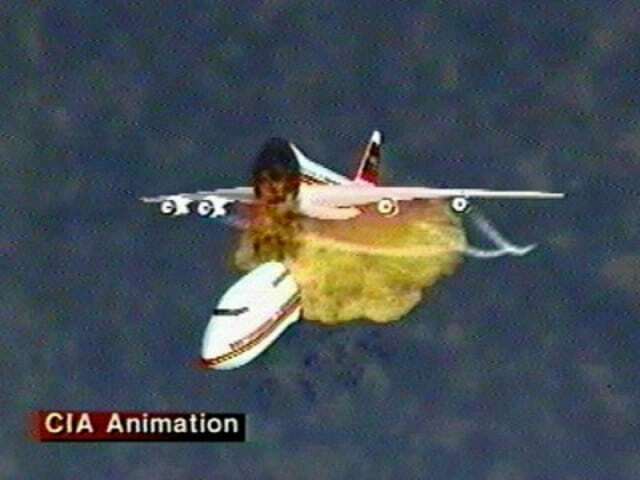 After years of costly investigation, they concluded that the flammable fuel vapours ignited and exploded, taking TWA flight 800 with it. But the documentary group TWA 800 Project think that they are wrong. In 2013, TWA 800 Project launched a website and documentary to argue that that the official investigation had been handled incorrectly seventeen years before. According to the website, an investigator on the case was extremely unhappy with the investigation. He attempted to report this to his superiors, but was threatened with being kicked off the investigation and worse. The website says that the whistleblowers from the NTSB, TWA and the Air Line Pilots Association who submitted evidence for the documentary could not come forward until they had retired and were able to avoid retaliation. 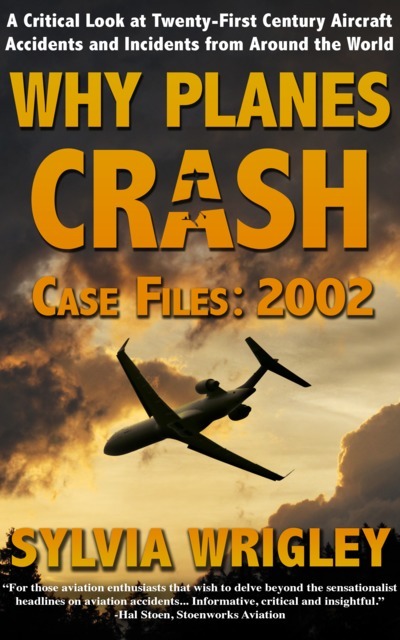 In “TWA Flight 800” whistleblower and senior aviation accident investigator at the time Hank Hughes talks about bringing serious problems with the investigation to the attention of then-Investigator in Charge, Mr. Al Dickinson of the NTSB, with no results. Finally, on May 10, 1999 Hank Hughes, under whistleblower protection, appeared before a senate judiciary committee to detail a long list of serious problems with the TWA Flight 800 investigation, including informing the committee that “chemical swabbing wasn’t done on an ongoing basis,…ERT [Evidence Recovery Team (FBI)] qualification in basic forensics [was] very limited.” Hughes also informed the Senate of an incident where he caught an FBI agent hammering on a piece of wreckage in an attempt to flatten it. The petition was submitted amidst the publicity of the documentary and alleges that TWA Flight 800 was shot down by a proximity fused missile, a possibility they claim was not considered by the NTSB in their investigation. Where an accident warrants an investigation and report, the NTSB is mandated to offer detailed narrative accident report, which includes the facts, conditions and circumstances of the accident as well as probable cause and appropriate recommendations. A petition for reconsideration or modification of the NTSB’s findings, especially when it comes to the probable cause, can be filed by a party to the investigation or a person with a direct interest. The petition must be based on new evidence or be able to show that the Board’s findings were not correct. The petition claims that new analyses and evidence demonstrate that a detonation or high-velocity explosion caused the crash. The petitioners claim that the radar evidence shows that there was a powerful and sideways projected explosion which occurred simultaneously with the loss of electrical power, which is not accounted for in the NTSB analysis. The petitioners also claim that the witness statements describe a firework or streak of light which they believe is more consistent with a high-velocity explosion, rather than the low-velocity fuel-air explosion that the NTSB determined. The primary interest here is of course that a senior investigator on the case is a part of the petition to re-open the investigation. Hank Hughes was assigned as the Survival Factors Specialist on the NTSB’s Go-Team responding to the crash. He claims that the investigation was “egregiously conducted” because of the FBI involvement. The FBI took control of the investigation at the start because based on eyewitness accounts, they believed that the aircraft may have been shot down by a missile strike: intriguingly exactly what the petition is trying to prove. The NTSB allowed the FBI to virtually commandeer the NTSB’s investigation, permitting the FBI to determine who would and who would not have access to the evidence. 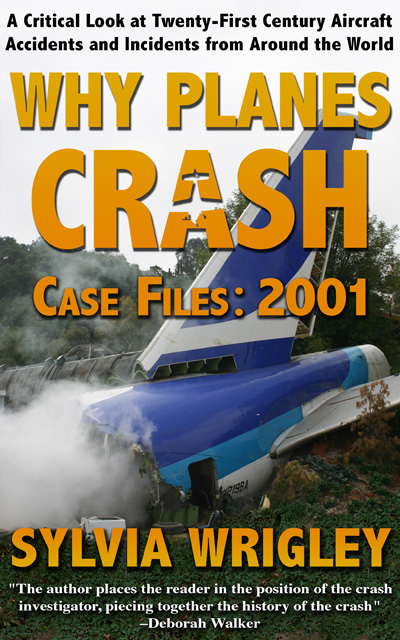 As a result, from the beginning of the wreckage/evidence recovery effort, the FBI, an agency with virtually no aviation accident investigation expertise, with an Evidence Recovery Team so inexperienced that I was asked to give them a crash course on the subject several weeks into the investigation, had virtually complete control of the critical initial evidence handling phase, even to the point of refusing NTSB investigators access to key wreckage and other hard evidence. The FBI, critically, also refused to allow NTSB investigators to interview eyewitnesses for months after the crash. FBI interviews and recording methods were, per the NTSB’s standards, neither thorough nor reliable. The cost to the investigation in terms of preserving evidence and getting thorough eyewitness accounts was incalculable. From the beginning to the end of the FBI’s participation in the Flight 800 investigation, the NTSB consistently violated previously mentioned regulations pertaining to continuing its own investigation according to normal NTSB procedures and working with the FBI to ensure that “evidence of the criminal act” was properly preserved. It’s difficult to understand how the FBI’s interference in trying to prove a criminal act directly led to the investigation concluding — according to Hank Hughes, wrongly — that no criminal act occurred. The NTSB assembled a team of investigators not previously associated with the original investigation to consider the petition. This week, the NTSB put forward an official response as a result of this investigation. They determined that the petition advanced two claims which the NTSB could consider under to reopen the case. One was the radar evidence, which the NTSB says included no new data but simply a different analysis focused on the petitioners’ alternative explanation of the crash. The petitioners apply various calculations to primary radar returns recorded by one facility after the time of the explosion. However, they overestimated the accuracy with which the radar could determine the position of the airborne object. As a result, they tried to make calculations of speed and distance that were not meaningful, and the conclusions they drew were unsupported. In addition, the NTSB notes that no radar data from any site showed an object, such as a missile, traveling toward or intercepting the airplane’s track. The second was the twenty witness summaries obtained from the FBI, which the NTSB treated as new evidence. Project TWA 800 claimed that the summaries did not match the conclusions drawn by the NTSB in their final report and that the NTSB must revise finding 8 in the report which stated that the streaks of light which witnesses reported seeing were not related to a missile. The NTSB considered the witness summaries but stated that they contained no new unique vantage points nor information. Of the 20 summaries, 8 include mention of a light ascending in the sky, and 3 of those 8 indicated that the light came from the ground, horizon, or ocean (5 of the 8 did not provide a point of origin). The NTSB’s final report discusses statements from 736 witnesses, 258 of whom saw a streak of light. Of those 258 witnesses, 25 indicated that the streak of light originated from the surface or the horizon. When the 20 new summaries (8 of which described a streak of light ascending, 3 of those 8 described a surface or horizon point of origin) are considered as new, unique witnesses, the percentage of witnesses who saw a streak becomes 35.2 percent (originally 35 percent) and the percentage who saw the streak originate at the surface or horizon becomes 10.5 percent (originally 9.7 percent). As a result of their investigation, yesterday the NTSB officially denied the petition for reconsideration in its entirety. The original investigation looked for evidence of fragments from a missile warhead and found none. Further, the damage patterns within the airplane were consistent with a center wing tank explosion. Lastly, the distribution of debris was also consistent with an in-flight breakup started by a fuel-air explosion within the center wing tank. Ultimately, the petitioners did not show that the NTSB’s conclusion or determination of probable cause were wrong. You can read the entire response from the NTSB here: Response to Petition for Reconsideration. It’s difficult for me to understand why the FBI and the NTSB would enter a conspiracy to cover up the very theory that the FBI set out to prove from the onset. 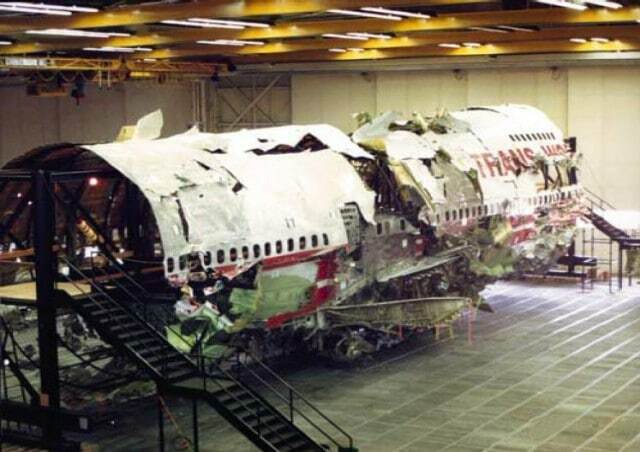 Having read through the Project TWA 800 website as well as the NTSB TWA 800 website, I’m inclined to believe that the most expensive investigation of its time was focused on determining the truth, although some (most?) of them believed from the start that it was a criminal act. After four years, the investigation discovered the truth, which was more convoluted and complicated than the simplistic terrorist theory. It’s hardly surprising that some of those involved with the investigation at the time are still disappointed that they were wrong. A large aircraft like a 747 exploding in mid-air is bad enough. The thought that the aircraft had been targeted by an ASM may have far-ranging consequences. We cannot even fathom what they will be until investigations have been exhaustively completed. I can first-hand testify that it may take more than a spark to cause a fuel tank to explode. I don’t remember the date but it must have been in the mid-seventies. I was flying a Cessna 310, probably at FL 90. Destination Mahon, Minorca. One of the Balearic Islands, so we were over the Mediterranean. We were in and out of clouds. The 310 did not have weather radar, but there was no real sign of CB’s when the aircraft was suddenly struck by lightning. 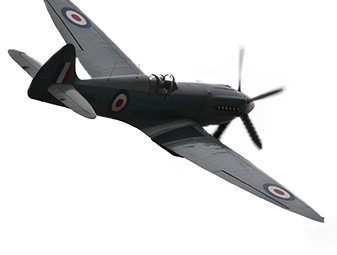 I could actually see the lightning hitting the left propeller and exiting the right wing tip. This also happens to be the main fuel tank, which is attached to the wing and, in the later C310’s, also is aerodynamically shaped to augment stability in the turn. There were no indications, neither from the engines nor any other instruments, that anything was wrong. We continued our flight, landed normally and did a post-flight check. There were scorch marks on the nose of the aircraft, confirming my observations. We also found a tiny hole, approx. 4 mm in diameter and perfectly round in the right wing tip tank. It had been above the level of the remaining fuel in the tank, so we had not lost any fuel (at the time AVGAS 100/130). But it was obvious that the concentrated electrical charge of the exiting lightning had been hot enough to actually melt the metal of the tank, albeit only to cause a small hole. We asked Iberia station mechanics to look over the aircraft and perform a compass swing. All was normal and the hole was repaired by sealant and a rivet. The aircraft at the time bore the registration PH-STR and was later re-registered N444ST. If it still is in existence, it may well fly around with that rivet in the right wing tank. It all goes to prove that an electrical spark, even in a tank with AVGAS which is more volatile than JET A1 or JP4, does not necessarily cause an explosion. I often read your comments and always find them thorough and insightful, no doubt due to your considerable experience. In your case (as mentioned by others) you seem to have been quite lucky. Given the hole melted into your tank, the energy seems like it was there, so most likely, the fuel vapour/air mix was either below the Lower Explosive Limit, or above the Upper Explosive Limit (https://en.m.wikipedia.org/wiki/Flammability_limit) – as also stated by others. A great deal of my career in Electrical Engineering has been spent working in & around Hazardous Areas such as fuel farms, refineries, mines and processing plants; if it were not for the work of the many standards organisations, government bodies, industry groups, manufacturers et.al. over the past few decades, we’d all be a lot more familiar with the seemingly spontaneous explosion of things. Hydrocarbons are obvious, but even flour, sugar or (god help you) aluminium dust will happily destroy a building/silo/whatever receptacle you choose if you provide the right mix in air and just so much as a zap of static electricity (https://en.m.wikipedia.org/wiki/Minimum_ignition_energy). One huge factor you are forgetting is the TEMPERATURE of the fuel. The fuel itself is normally not explosive at its regular temperature in the tank, but because the AIR CONDITIONING PACKS underneath the fuel tank were HOT due to being run extensively while the plane was delayed on the ground, the fuel warmed to the point where it was highly explosive. As a 747 flight engineer the procedure adopted after this event was to switch off the centre wing pumps the moment the first low pressure light flickered on. This was due to possible failure in the pumps themselves where significant heat occurred. I recall pictures of damaged pumps where the intense heat had discolored the metal. I see no mention of any of this scenario in the article. It would seem to me that the authorities have been totally unable to establish the real cause of this tragedy and cannot see any possibility for a new insight or evidence that could provide a definitive answer to come to light. I have no engineering background, so I can only guess as to why the C 310 I was flying did not explode in mid-air. Certainly, the temperature would have been high enough if it burned a hole in the fuel tank. Perhaps the duration, a microsecond, was not long enough. Anyway, I am still here to tell the tale and it seems that N444ST is still around, flying for a Nevada-based company. Possibly still with that rivet in the tank. “It may take more than a spark to cause a fuel tank to explode” turns out to be a pretty good summary of the conclusion of the NTSB investigation and the CalTech study. I recommend reading the CalTech article Sylvia links to, it goes in to great detail about the unlikely conditions required for an explosion and how they determined that they were present on that fateful day. A key ingredient that was probably missing in your specific case was a fuel vapor to oxygen ratio conducive to flammability. Too little fuel or too little oxygen, and you don’t get an explosion. This range of flammability is thankfully quite narrow under most circumstances. An old discussion now, but I happen to re-read it. My best guess is that the ratio of AVGAS vapour / oxygen was outside the flammability range as mentioned by Brent. And obviously, unfortunately, tragically, in the case of TWA 800 it must have been within that range. I can only guess, but it would seem that in the case of the TWA the tank was virtually empty so the vapour contained enough oxygen to ignite the fumes. The tip tanks of the C310 are also the main tanks. The hole must have been above the level of the fuel in that tank because we did not lose any. But with the tank still more than half full it would seem that the vapour was too saturated, meaning lacking oxygen, to ignite. Lucky me ! !